2nd Ranger Company Rangers and their weapons, Korea 1951. Rangers in Korea, as in World War II, made extensive use of the Browning Automatic Rifle (BAR) for dismounted firepower. The U.S. Army disbanded its Ranger units at the end of World War II. Army Ranger companies were re-created – briefly – for the conflict in Korea. Ranger training remained, setting standards in the field. In the Vietnam conflict, the Ranger title was given to long-range reconnaissance patrol (LRRP) companies. The 8th Army Ranger Company was organized, from in-theater volunteers, in August 1950. It first went into action on Oct. 10, providing long-range patrols against retreating North Korean forces. When two Ranger battalions – the first since 1945 – were ordered formed in 1974, the return of the Rangers started in earnest. By the start of what was then known as the global war on terrorism in 2001, U.S. Army Rangers had had an effect on America’s conflicts far out of proportion to their limited numbers. They set the direction for how today’s Rangers train and fight. North Korea’s invasion of South Korea on June 25, 1950, soon hemmed U.S. and allied forces into the “Pusan Perimeter” in southeast Korea. The hard-pressed U.S. Army required specialized units to counter North Korean unconventional warfare (UW) threats and carry out reconnaissance on the enemy side of the front lines. The decision was made to re-establish the U.S. Army’s Rangers. The 8th Army Ranger Company was organized, from in-theater volunteers, in August 1950. It first went into action on Oct. 10, providing long-range patrols against retreating North Korean forces. But the Chinese intervention led to these Rangers, like their World War II participants, being committed to sustained combat when there were not enough trained infantrymen on the ground. On Nov. 25, in the Battle of Hill 205, 51 Rangers from this company, led by Lt. Ralph Puckett – who had taken command soon after graduating from West Point in 1950 – held off a much larger Chinese force. Puckett was awarded the Distinguished Service Cross (DSC). Rangers in typical Korean terrain, Hill 675, Feb. 20, 1951. The Army established a Ranger training center at Fort Benning, Georgia. A call for volunteers brought in serving personnel and returning World War II veterans for the intensive training, based on that of World War II Rangers. Six companies of Benning-trained Rangers deployed to Korea, including the 2nd Ranger Company, a unit of all-black volunteers in the last years of a segregated Army. Rather than being formed, like their World War II predecessors, into independent battalions, the Army Ranger companies were attached to U.S. divisions – as had also been done in 1944-45 – for long-range reconnaissance patrols. Other Ranger companies served in Europe and in the United States. In Korea, the Rangers carried out successful raids at Changgo-ri and Changmal. The 1st Ranger Company also raided the headquarters of the North Korean 12th Infantry Division at Chipyong-ni. In March 1951, a 10-man Ranger team suffered heavy losses in a failed raid on rail communications in the Wonsan area. 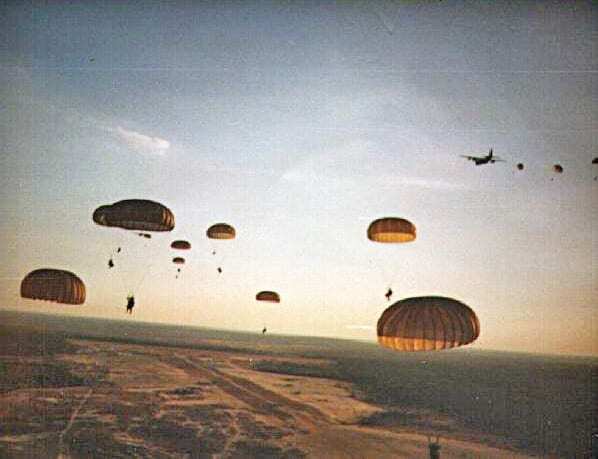 The 2nd and 4th Ranger companies jumped with the 187th Airborne Regiment near Munsan in March 1951. For extended periods in the 1950s and ’60s, the Army required Ranger school for all combat-arms Regular Army officers. Ranger-trained officers were envisioned as needed to lead surviving soldiers on a nuclear battlefield. Reflecting the Army’s traditional opposition to “elite” units, a shortage of trained infantrymen, and the hardening of the front into positional warfare, the 8th Army Ranger Company disbanded in March 1951, followed by the remaining companies in August. Their personnel were used as replacements for infantry and airborne units in Korea. While Ranger units had again left the Army force structure, a Ranger program at the Infantry School at Fort Benning continued. In the years to come, many of the Army’s future leaders at all levels would attend the school to earn the coveted Ranger tabs. For extended periods in the 1950s and ’60s, the Army required Ranger school for all combat-arms Regular Army officers. Ranger-trained officers were envisioned as needed to lead surviving soldiers on a nuclear battlefield. The increased U.S. interest in counterinsurgency in the 1960s was reflected in Ranger training. As the U.S. commitment to South Vietnam escalated, Ranger-trained U.S. Army advisers created the Army of the Republic of Vietnam (ARVN) Ranger units. Using volunteer soldiers and intensive training, the Rangers became the most reliable ARVN force throughout the Vietnam War. A total of 15 Ranger companies were formed for the LRRP mission, serving stateside and in Vietnam, where many saw intense combat, especially in the later years of the U.S. presence in South Vietnam when firepower – and the LRRPs that directed it – was emphasized rather than large-scale ground unit offensives. The U.S. Army organized divisional LRRP companies in Vietnam, starting in 1966. These acquired information for their divisions and directed air strikes and artillery fire. The LRRPs were seen as a key element in the U.S. operational approach to impose unacceptable losses on battlefield enemies. They also took the offensive, setting up ambushes in areas the enemy thought secure, before being extracted by helicopter. In Vietnam, a Ranger LRRP from L Company evacuates a casualty during Operation Bushmaster, August 1971. In 1969, LRRP companies were designated as part of the 75th Infantry (Rangers). A total of 15 Ranger companies were formed for the LRRP mission, serving stateside and in Vietnam, where many saw intense combat, especially in the later years of the U.S. presence in South Vietnam when firepower – and the LRRPs that directed it – was emphasized rather than large-scale ground unit offensives. On Nov. 22, 1969, Staff Sgt. Robert Pruden of G Company, attached to the Americal Division, received a posthumous Medal of Honor for his actions in command of Ranger Team Oregon. As U.S. forces withdrew from South Vietnam, all but two U.S.-based Ranger companies were disbanded. In January 1974, Army Chief of Staff Gen. Creighton Abrams ordered the organization of two Ranger battalions: the first battalion of the 75th Infantry (1/75th, the number itself derived from that of “Merrill’s Marauders” of World War II Burma fame), and a second Ranger battalion (2/75th) organized eight months later. For years, a U.S. Army Ranger meant an individual soldier that had earned the coveted Ranger tab through completing the intensive training. Now, there would be two full battalions of these same soldiers. Abrams had directed the Rangers be “the most proficient light infantry battalion in the world.” Neither purely airborne, light infantry, raiders, nor LRRPs – though capable of all four missions – Rangers would use U.S. strategic mobility to be capable of global rapid strategic reaction, specializing in forcible entry. Creating the new Rangers was not an easy or popular decision. The Army struggled to keep its units up to strength and adjust to being an all-volunteer force, and had already cut back its Special Forces. It was the height of the “hollow Army” era. There was widespread opposition in the Army leadership to forming new units. Trained and motivated soldiers were scarce. The Rangers’ mission was a return to that of World War II: “Rangers lead the way.” Abrams had directed the Rangers be “the most proficient light infantry battalion in the world.” Neither purely airborne, light infantry, raiders, nor LRRPs – though capable of all four missions – Rangers would use U.S. strategic mobility to be capable of global rapid strategic reaction, specializing in forcible entry. They would seize high-priority objectives of any type, but especially airfields or ports for the follow-on insertion of combined-arms forces. The return of the Rangers also coincided with the worldwide rise of terrorist violence, much of it state supported. The importance of a counterterrorist direct attack capability was shown by the Israeli raid on Entebbe airport in Uganda in 1976, which successfully freed terrorists’ hostages. Soon, the new Ranger battalions had succeeded in also “leading the way” in the rebound from the hollow Army era. The Rangers’ high level of selectivity, intensive training, and the lure of earning Ranger tabs created strong unit cohesion and attracted highly motivated recruits. The Iran hostage crisis of 1979-81 brought the Rangers into planning for a rescue mission. After the U.S. embassy had been seized and diplomats held hostage by Iranian militants in November 1979, Rangers were proposed to spearhead a direct airborne assault on the Tehran embassy site. During the Iran rescue mission of April 24-25, 1980, the Rangers successfully carried out their security duties at the airstrip designated Desert One. But poor organization and mechanical failures ended with a collision between aircraft on the ground, leading to a disastrous fire that consumed both aircraft and killed eight. This plan was discarded in favor of a more elaborate rescue mission, involving multiple helicopter and fixed-wing aircraft forces inserting and evacuating a rescue force. Rangers provided a 13-man security detachment to cover the initial covert refueling of the helicopters in the Iranian desert. C Company of the 1/75th Rangers was standing by as a rapid reaction force to be parachuted into Tehran if the rescue turned into a pitched battle. During the Iran rescue mission of April 24-25, 1980, the Rangers successfully carried out their security duties at the airstrip designated Desert One. But poor organization and mechanical failures ended with a collision between aircraft on the ground, leading to a disastrous fire that consumed both aircraft and killed eight. While subsequent planning for a rescue included a Ranger two-battalion assault on an airfield, this capability was not required. The Rangers made a combat jump, opposed by Cuban and Grenadan forces armed with anti-aircraft guns and armored personnel carriers. The Iran raid’s failure led to the creation of the Joint Special Operations Command (JSOC), the first permanent joint-service special operations headquarters. Now the Rangers were not just an Army asset, but could be better integrated with other special operations forces. The U.S. intervention on the Caribbean island of Grenada on Oct. 25, 1983, was the first time since World War II that the Rangers really did lead the way. When a coup by Marxists on Grenada turned violent, Washington feared the taking of U.S. hostages and the arrival of Cuban reinforcements. Rangers would spearhead a hastily planned U.S. military operation. The original plan was for both Ranger battalions to fly into Grenada, land at the international airport, and secure it for follow-on U.S. forces. En route, this was changed to a parachute assault. The Rangers made a combat jump, opposed by Cuban and Grenadan forces armed with anti-aircraft guns and armored personnel carriers. The fight for the airport, in the words of Lt. Col. Wesley Taylor, commanding officer of the 1/75th, “was at least as intense as any of the fights I was in in Vietnam. And I was two years over there.” Rangers hot-wired a bulldozer that had been used to block a runway and used it to clear away obstacles under fire. Air Force Lockheed AC-130 special operations gunships provided close air support. After overcoming strong resistance, the Rangers secured the airport and the 82nd Airborne Division was able to fly in. In the wake of Grenada, there was a widespread realization that the problems seen there and in the Iran failure had not been resolved. This led to extensive Pentagon reforms, including the creation of U.S. Special Operations Command (SOCOM) in 1987. In 1984, the Army added a third Ranger battalion (3/75th) and the Ranger regimental headquarters, something earlier Rangers had lacked, enabling enhanced mission-planning and operational capabilities. 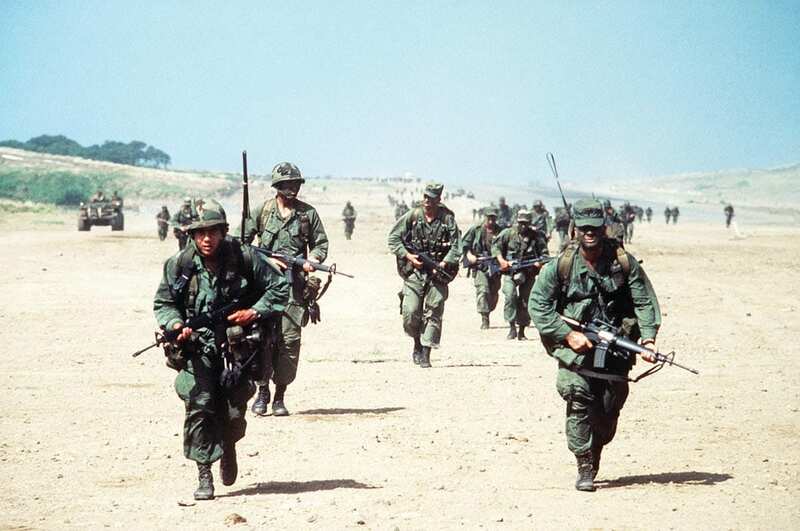 Additional funding in the 1980s enabled the Rangers to keep up a high level of training in the United States – including deployment to major training centers – and to exercises worldwide. The U.S. intervention in Panama on Dec. 20, 1989, intended to replace the kleptocratic regime of Manual Noriega before he could take hostages, relied heavily on Ranger forcible entry capabilities. This time there was time for planning and rehearsal. The complete Ranger regiment – all three battalions – made parachute air assaults to secure Torrijos-Tocumen International and Rio Hato airports. In Panama, the Rangers had again led the way for a major success. The transition to a democratic Panamanian regime underlined the victory. For the Rangers, it marked their emergence as a SOCOM force, but also as one that had completed a long process of evolution in many areas. Fortunately, few of Panama’s defense forces were willing to fight for Noriega. Only a few pockets of resistance had to be mopped up by the Rangers; one was in a terminal men’s room at the international airport. Rangers prevailed in a close-range gun battle. One Ranger survived a close-range bullet only because he was wearing one of the new Kevlar® helmets. Ranger follow-on missions included heliborne operations to seize airstrips and raids to liberate prisoners and search for Noriega and his henchmen. Soldiers of the 1st Battalion, 75th Ranger Regiment, walk past a 63rd Military Airlift Wing C-141B Starlifter aircraft after returning from Panama, where the unit participated in Operation Just Cause. In Panama, the Rangers had again led the way for a major success. The transition to a democratic Panamanian regime underlined the victory. For the Rangers, it marked their emergence as a SOCOM force, but also as one that had completed a long process of evolution in many areas. This included identifying and using weapons and equipment. The Rangers needed firepower that would not weigh them down for parachute assaults or rapid foot movement. This started with them bringing 90 mm recoilless rifles out of retirement in the 1970s and, in subsequent years, making their way through the arsenal, retaining what worked. Even the Rangers’ headgear evolved. Unit cohesion and the Ranger spirit – embodied in the Ranger Creed – never wavered. Rangers were put on alert immediately after Saddam Hussein launched the Iraqi invasion of Kuwait in August 1990 and soon started planning and preparing for Operation Pacific Wind to liberate U.S. and international civilians seized in Kuwait and Iraq. Hussein was threatening to use them as “human shields.” Before the operation was launched, however, the Iraqis freed their hostages. One reinforced company of Rangers deployed to the region during Operations Desert Shield and Desert Storm. This partially reflected the priorities of the coalition commander, U.S. Army Gen. Norman Schwarzkopf, who emphasized large combined-arms formations in operational planning while marginalizing special operations forces. 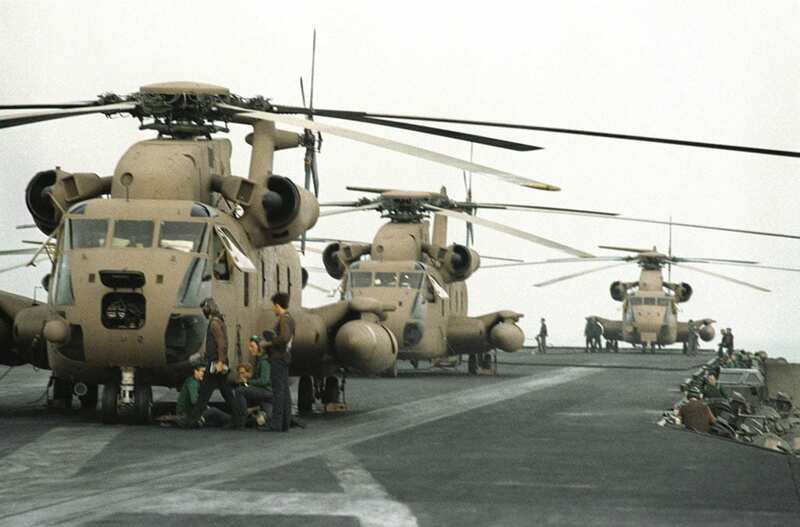 The Rangers carried out a successful heliborne raid on Iraqi communications facilities on Feb. 26, 1991. By 1993, Somalia had become a “failed state.” A small United Nations (U.N.) force could not distribute the humanitarian relief provided to prevent widespread famine because powerful, competing warlords wanted to distribute the food aid to consolidate their own power. Col. Mohammed Farah Aideed, a former Somali army officer, was the most powerful warlord in the area of Mogadishu, Somalia’s capital. Hostilities between the U.N. and Aideed escalated. In August 1993, the United States deployed a joint special operations task force (JSOTF) to Mogadishu. Organized around an Army Ranger battalion, it was designated Task Force Ranger and became the central force in Operation Gothic Serpent, a coalition military effort seeking to capture Aideed. A series of raids targeted Aideed’s support infrastructure but failed to capture the warlord. The raid was a success, but casualty evacuation and ground exfiltration of the raiders and their prisoners encountered heavy resistance from large numbers of Aideed supporters flooding into the area. First one, then another, U.S. helicopter was shot down. Rangers of Task Force Ranger in front of Black Hawk Super Six-Six in Somalia. Attempts to rescue the helicopter crews led to savage fighting. Two Special Forces sergeants received posthumous Medals of Honor for their attempt to save the crew of a shot-down helicopter. With the aid of ground reinforcements – Rangers, U.S., and U.N. forces – it was the next day before the surviving raiders were able to fight their way back to the airport. The events of those two days of fighting, through the book and movie Black Hawk Down, have become familiar worldwide. While the battle had crippled Aideed’s forces, the U.S. casualties and television coverage of the two shot-down helicopters and the bodies of U.S. soldiers dragged through the streets by a mob led to Washington declaring that the hunt for Aideed was ended and that U.S. forces would withdraw. Even though a success, the raid had high costs in casualties as well as political and diplomatic terms. All three Ranger battalions and the regimental headquarters deployed for Operation Uphold Democracy, the U.S. military intervention intended to reverse Haiti’s military coup that had seized power from an elected government. 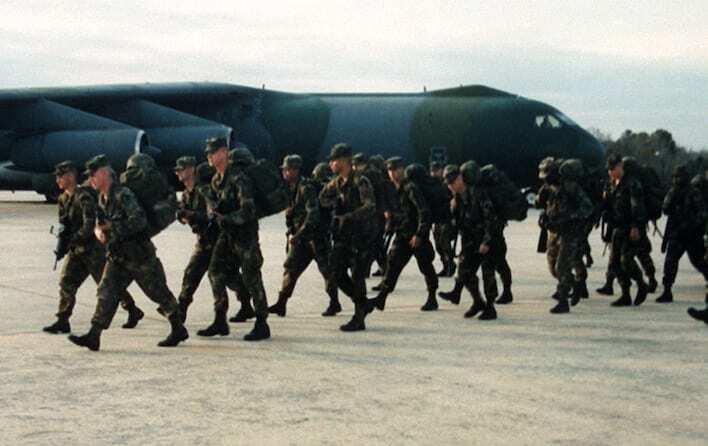 The Rangers had planned to repeat their role in Grenada and Panama, seizing airfields that would then be used to fly in reinforcements from the 82nd Airborne Division. Army Rangers and 160th SOAR helicopters deployed off the coast of Haiti on the aircraft carrier USS Kitty Hawk. On Sept. 19, 1994, with the Rangers in position to strike and transport aircraft already in the air, the Haitian military agreed to relinquish power. In 2001, the Rangers were seen as a uniquely powerful force, providing a range of military options to the national command authority and SOCOM. Operation Amber Star saw Ranger detachments deploy to the former Yugoslavia in 1995-1999, providing a covert reconnaissance capability. By 2001, the Rangers traded in their black berets, which they had used unofficially since the 1950s, for the desert tan berets originated by the British Special Air Service. In 2001, the Rangers were seen as a uniquely powerful force, providing a range of military options to the national command authority and SOCOM. Raiding, liberation missions, seizure missions of high-value individuals, and direct attack against a wide range of targets had all been repeatedly exercised. Even though the events of the next years were unexpected, the response to them would not have to be improvised. When, in 2001, the Rangers were one of the first units to be alerted to move out, they would be guided not only by their own operational planning and extensive training, but by decades of experience.